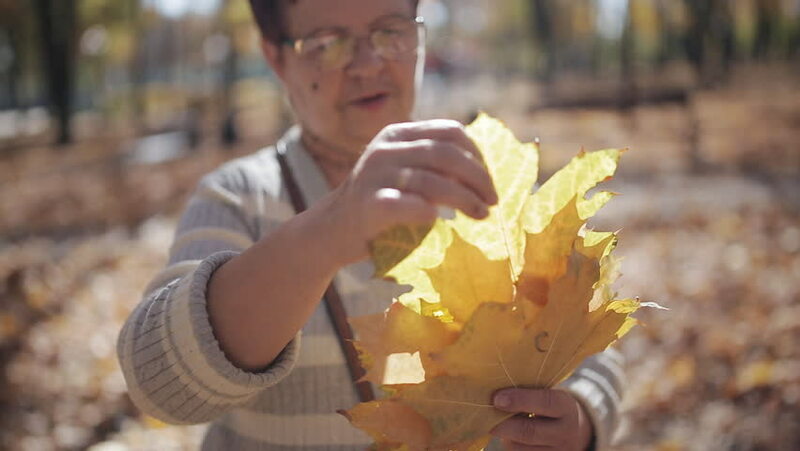 Senior woman with yellow leaves in her hands is standing in an autumn park. hd00:25Young girl is collecting colorful leaves for a bouquet. Autumn time. hd00:16Happy, smiling girl walking in autumn park breaks large yellow leaves of the tree collects them in a bouquet. Slow motion. hd00:21Elderly couple walking in autumn Park, consider maple leaves, drinking coffee and talking.